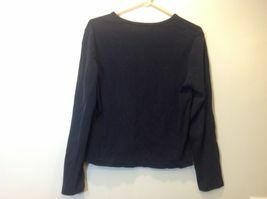 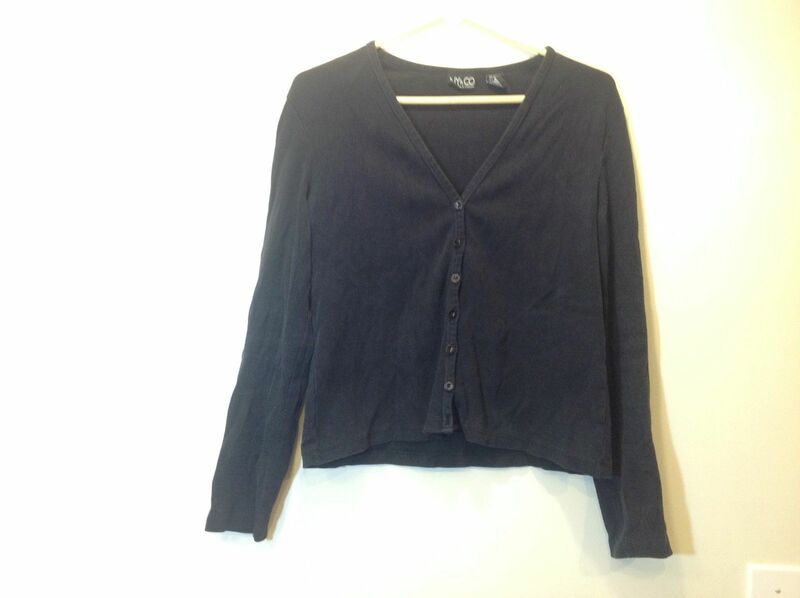 Ladies button-up cardigan by 'New York & Co'! 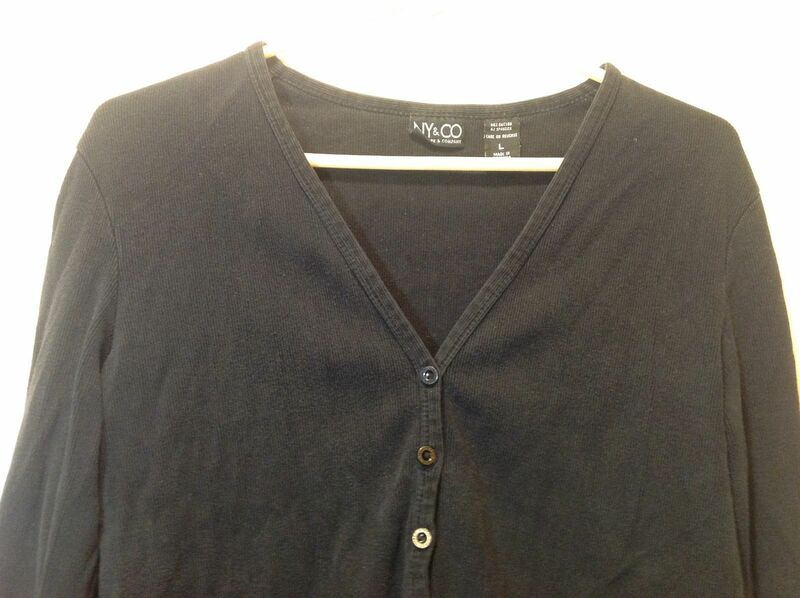 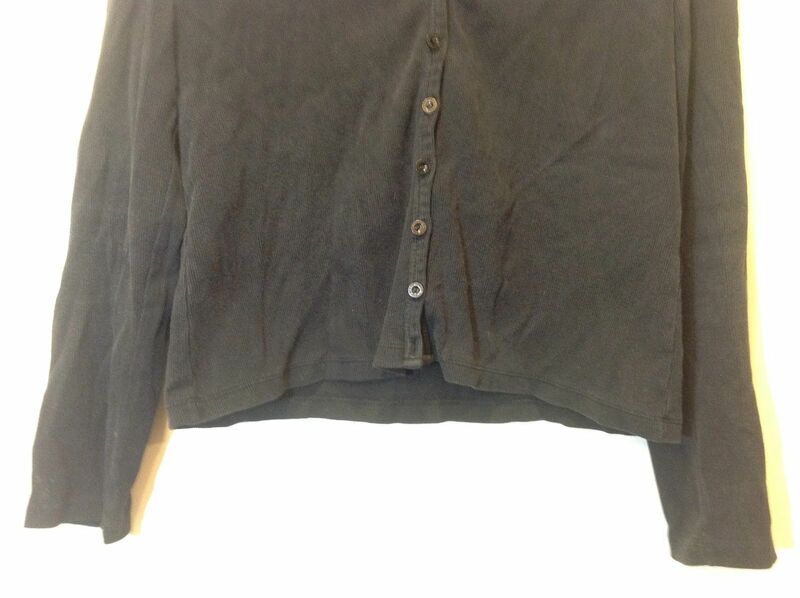 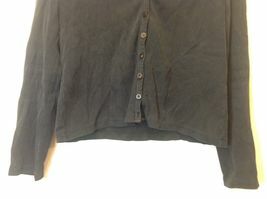 Cardigan is quite worn and missing the bottom button, but is otherwise in fair condition. 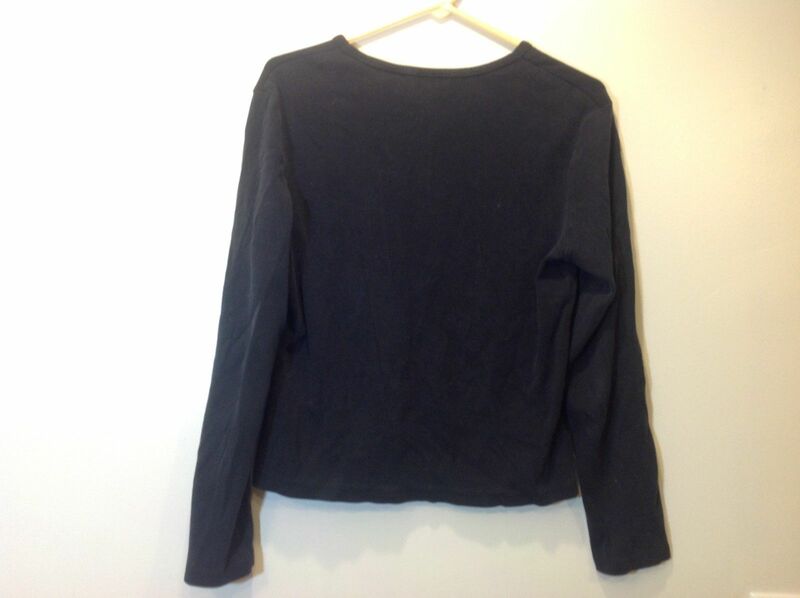 Material 96/4% cotton-spandex blend, size LG!